Finally Decided To Buy Bitcoin? Here Are 9 Places To Get It In M'sia. Now is one of the best times to own Bitcoin—but only if you bought it last year. That doesn’t mean you’re out of the cryptocurrency gold rush, fortunately. Everything between Dogecoin, Ethereum and NEM are all still an opportunity for users to hedge their bets, though options for Malaysians to buy can be limited. Just keep in mind how volatile these cryptocurrencies usually are—more volatile than Bitcoin even, which relies on its founding ideology to drive more stability. With enough smarts and research, you might also still benefit from buying Bitcoin even today. Fun Fact: Bitcoin was born out of the financial crisis of 2008, which drove demand for currency that is not controlled by a central authority. It aims to fix the problem by capping the maximum number of Bitcoins that can ever be in circulation and the rate new Bitcoins can be produced. So if you’re an extreme beginner who is curious about how to own your very own chunk of cryptocurrency, here’s where to get them. Before you make any serious purchases, read up about cryptocurrency wallets and how to secure them. Try to stick to officially endorsed wallets, and be careful of malware pretending to be wallets. 2. Ringgit to trade with. As a fair warning, we’ve received reports of Bitcoin owners in Malaysia whose wallets were suspended from transferring into Malaysian bank accounts, lasting approximately a month. Do bear this in mind before you commit your money to any wallets. We think a good rule of thumb is to only buy cryptocurrency with money you can afford to lose. The list below is curated based on platforms that have a substantial presence in Malaysia, either through good reputation, or those who are run by Malaysians, as far as we can find. 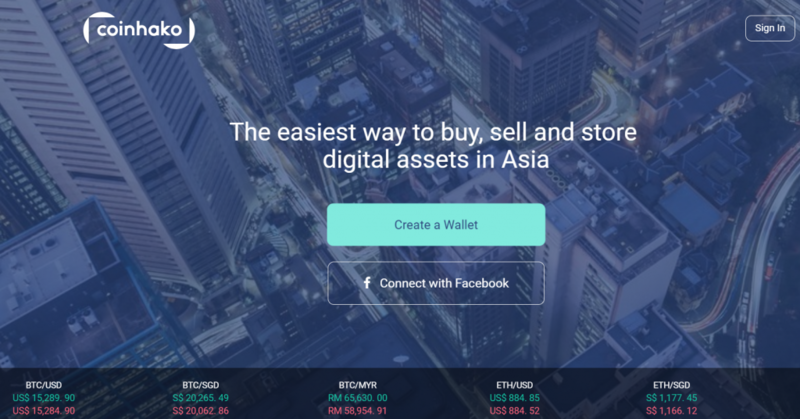 Luno allows you to trade Ringgit with cryptocurrency directly. This Singaporean app is probably the most trusted Bitcoin platforms in Malaysia, and for good reason. Deposits are free, and withdrawal fees range from 0% to 1%. You’ll get your cryptocurrency pretty fast after making a purchase too. We bet being available as an app helps too. However, you can only deposit cash using bank transfers in Malaysia. And it’s not advised to store Bitcoins in their wallet service. Coinhako is a beginner-friendly exchange that also offers a secure wallet on top of its services. Its customer service is one of its top features, backed by some of Silicon Valley’s prominent investors. It charges 0.9% for both buying and selling, especially using the Ringgit or Singapore Dollar. Coinhako’s rates and fees are said to be quite competitive too. Payments can be done cheapest using bank transfers from Malaysian accounts, though there is the option for Xfers wallet transfers or Telegraphic transfers. It seems like XBit Asia was built specifically for Malaysia, as it only trades Malaysian Ringgit with Bitcoin. It is said to be one of Malaysia’s leading Bitcoin tradings sites. XBit Asia charges a 0.8% trading fee. This exchange also provides what is said to be a pretty secure wallet, and deposits are free too. They want to place a priority on security, as well as fast processing services. Online support is also available 24/7. As a fun little extra, XBit Asia offers a merchant service which allows online shops to accept Bitcoin. LocalBitcoins is one of the biggest peer-to-peer Bitcoin trading sites online, which means that you’ll need to be careful of a user’s reputation (marked with a Feedback Score) before trading with them. Transactions that go through the platform are run through its Escrow system to protect both parties. It charges a 1% fee on all transactions. If you’re not keen on attaching your legal name to your Bitcoin, then LocalBitcoins along with other peer-to-peer services is your best bet. It’s one of the only exchanges that doesn’t require you to confirm your identity. LocalBitcoins accepts all payment methods, with cash being the most popular. 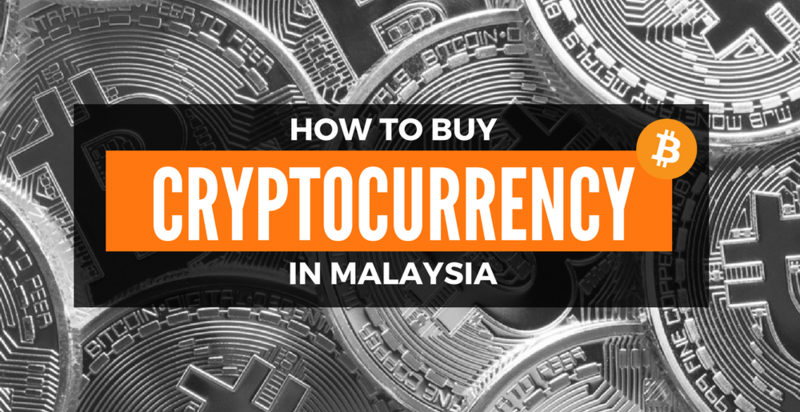 As a Malaysian cryptocurrency exchange, Coinexy is now currently only available to Malaysian IPs. This peer-to-peer exchange platform is special because it also accepts Litecoin and Dogecoin. So again, check a user’s trustability on the platform before agreeing to any transactions with them. As one of the newer players in Malaysia, you should expect certain glitches or issues with the site. Read about how to trade on Coinexy here. What you can get: Bitcoin and Ethereum. Remitano is another popular player in Malaysia. Similar to LocalBitcoins, Remitano works on a decentralised peer-to-peer system using Escrow for user protection. So again, checking a user’s reputation is key here. It also charges a 1% fee for all transactions. Logging your identity into the platform is recommended, but not required. Customer service is also said to be a big plus. Unlike LocalBitcoins however, Remitano has a system to point out its more trustworthy users by marking them as frequent buyers. Generally, users exchange cryptocurrency using cash or bank transfers. Here’s a super easy way to buy Bitcoins: just go to an ATM. Instead of tapping some buttons and getting cash, you instead put cash into the machine and get Bitcoins in your wallet. 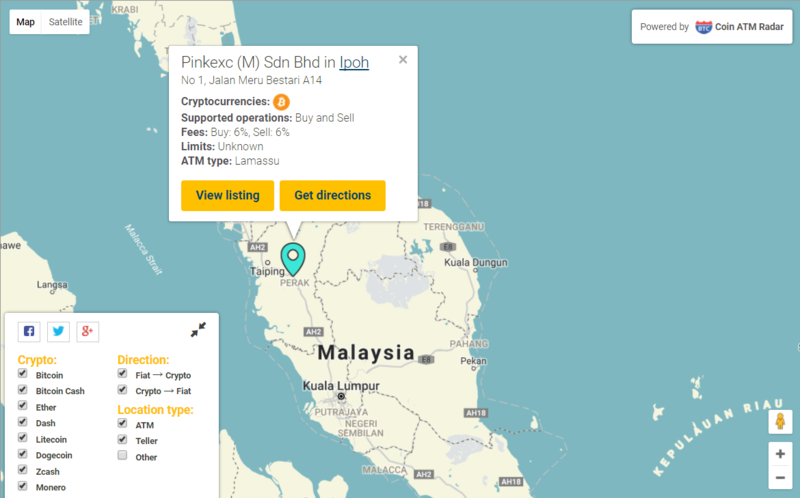 Pinkexc (M) Sdn Bhd in Ipoh supports both buying and selling Bitcoin, with a 6% charge for both services. One plus point for using an ATM is that you get your coins pretty much instantly, while also protecting your privacy as you don’t need an ID to use an ATM. The only one currently available in Malaysia is operating in Ipoh. How Do I Buy Cryptocurrencies Other Than Bitcoin Or Ethereum? Firstly, you’ll have to own either Bitcoin or Ethereum before you can embark on these following sites. Secondly, you’ll need a separate wallet for your other cryptocurrencies, and be careful not to mix up sending your coins or you might end up losing them. While Bitcoin is generally traded against USD, do note that other types of currencies, like Ripple or Dogecoin, are usually traded against Bitcoin. This makes these currencies highly volatile, even more so than Bitcoin. You can find out why here. Here are some sites that you can get these alternate cryptocurrencies from. Here is a list of currencies that you can trade on Poloniex, and their values. Poloniex can seem a little dodgy because most of the brains behind the platform are kept secret. Nevertheless, it’s seen as one of the world’s largest Ethereum exchanges in 2017. It also receives the largest amount of traffic in the crypto-exchange industry. It is one of the go-to places for serious crypto traders seeking new coins to trade in, partly because of its highly detailed charts and good data analysis tools. Here is a list of currencies that you can trade on Bittrex, and their values. A USA-based platform, Bittrex’s biggest strength is in the sheer number of cryptocurrencies you can get on its platform. Only launched in 2014, this USA-based company touts a secure platform with a multi-stage wallet strategy. It tries to keep one step ahead, seeing itself as the next generation cryptocurrency trading. One of its strong points is also a consistent trading fee at 0.25%, which does set it apart. Shapeshift and Changelly are coin conversion tools. They can be used for similar purposes as well. However, they do have less selections, and generally charge higher fees. To start off, get yourself some legitimate cryptocurrency wallets, your ID, and money to trade with. LocalBitcoins, Coinexy and Remitano do peer-to-peer purchases, a service that simply facilitates two users to buy and sell cryptocurrency. To buy most cryptocurrencies other than Bitcoin or Ethereum, you’ll need to own some Bitcoin first, and remember that it’s highly volatile. 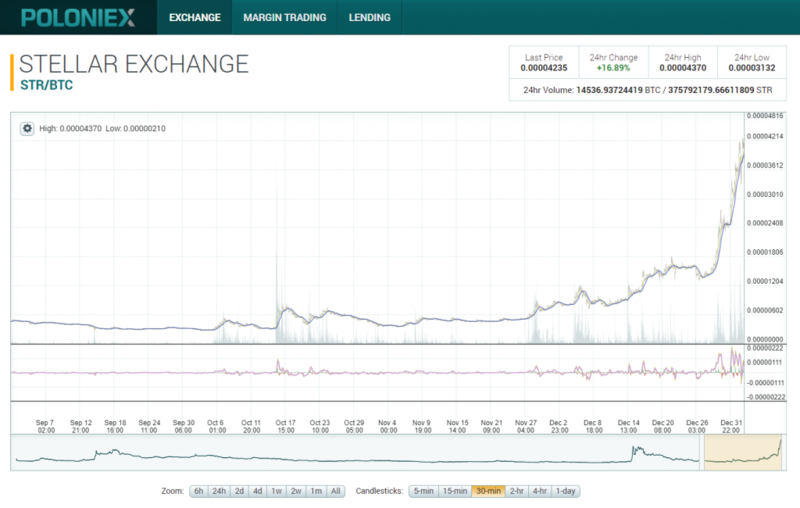 For currencies other than Bitcoin, you can go to Poloniex or Bittrex. You can also try Shapeshift and Changelly if you don’t mind the higher fees.